We found The Gingerbread Man! Words + Pictures = Magic! 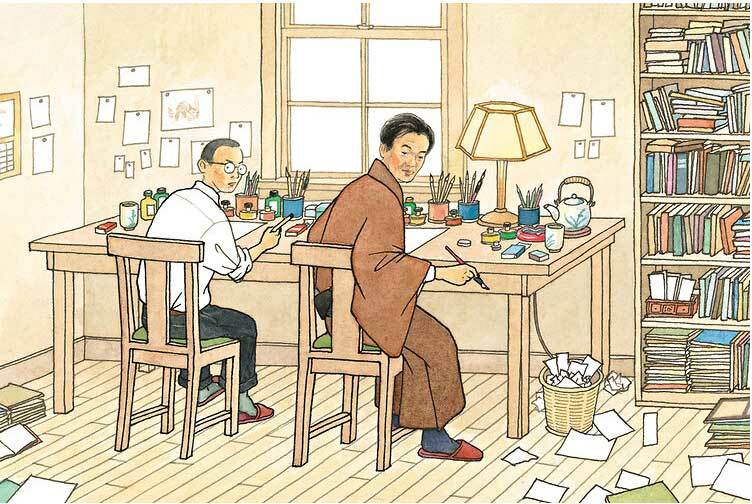 The best picture books are the epitome of the smooth teamwork between author, editor, artist, and art director/book designer. Here’s one case study of such a collaboration. 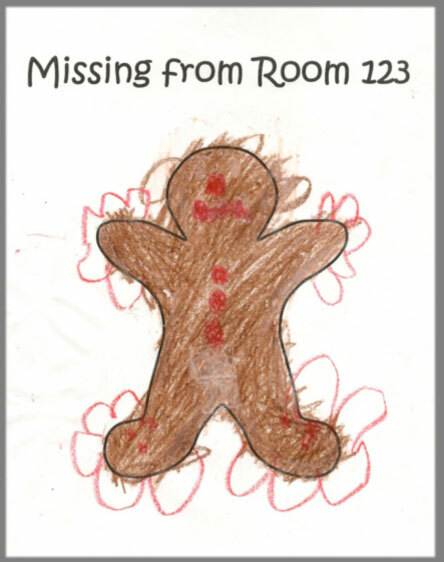 Many kindergarteners around the country have been successfully averted from first day jitters at school when the alert goes out that a cute little gingerbread boy is lost on the school grounds, and must be found! 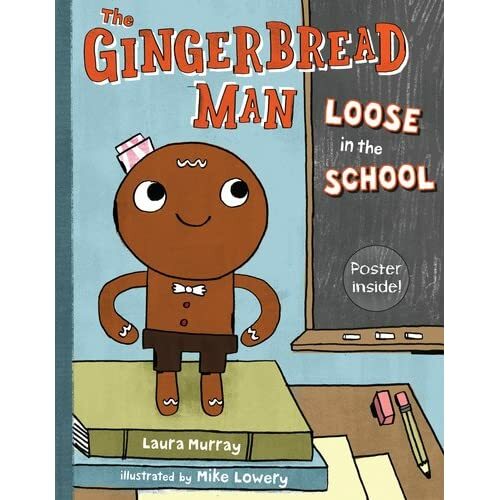 Author Laura Murray relates one cookie’s side of the story in The Gingerbread Man Loose in the School, corroborated by Mike Lowery‘s action-packed illustrations. 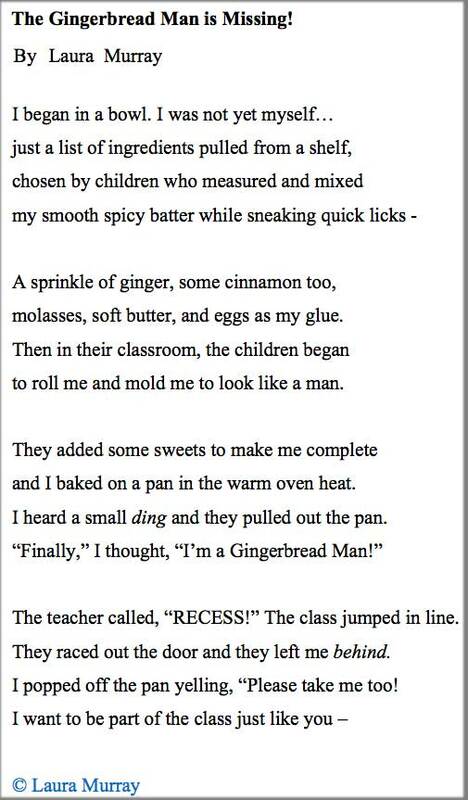 Joy Chu: Tell us about the genesis of The Gingerbread Man Loose in the School. Where did it all begin? 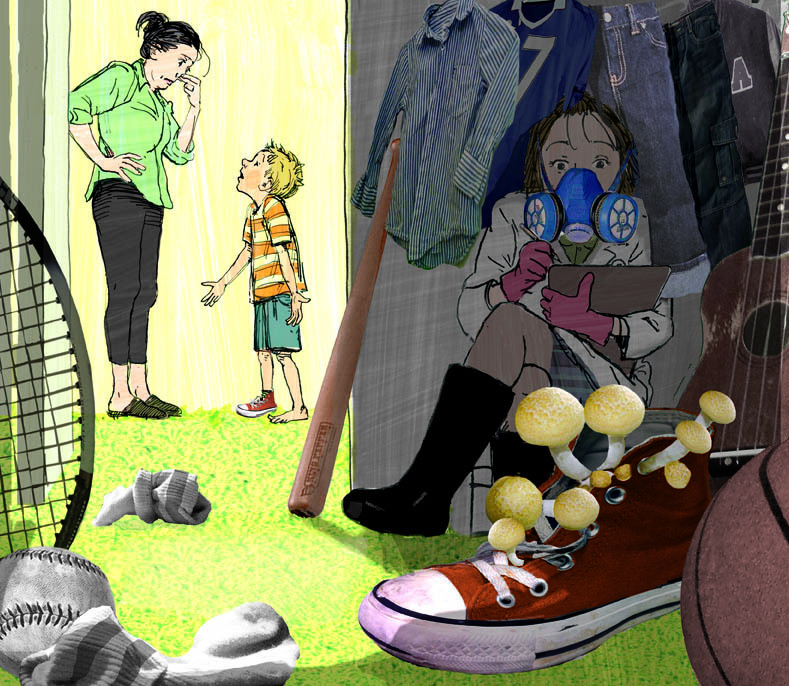 Laura Murray: I was a teacher before becoming a writer. 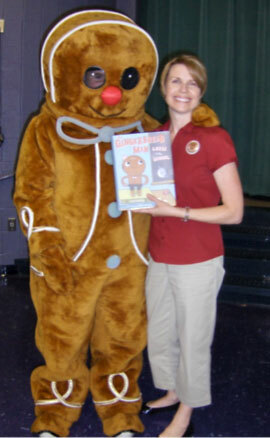 The Gingerbread Man Loose in the School was inspired by a Kindergarten Gingerbread Man unit I taught at the beginning of each school year. We compared and contrasted different versions of the Gingerbread Man story and used Gingerbread Man activities for each subject. 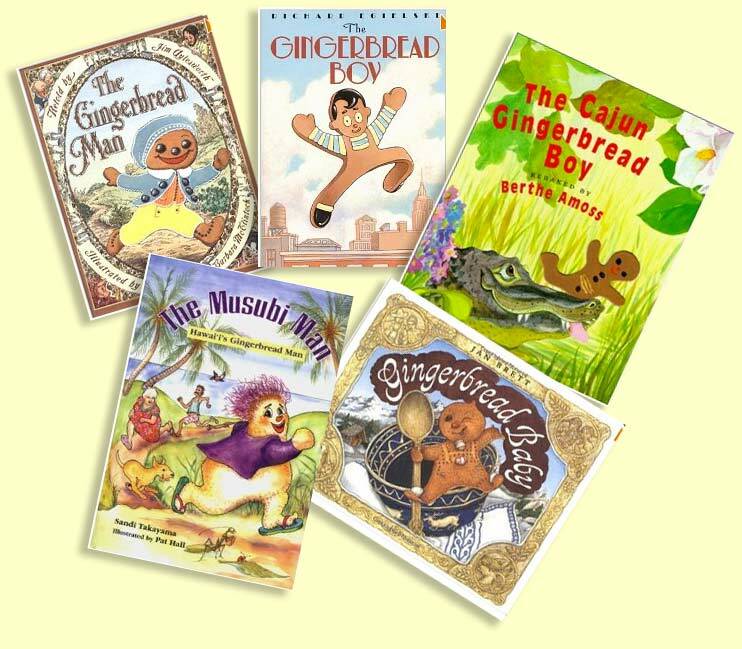 JC: Which versions of the Gingerbread Man story were covered in your class? 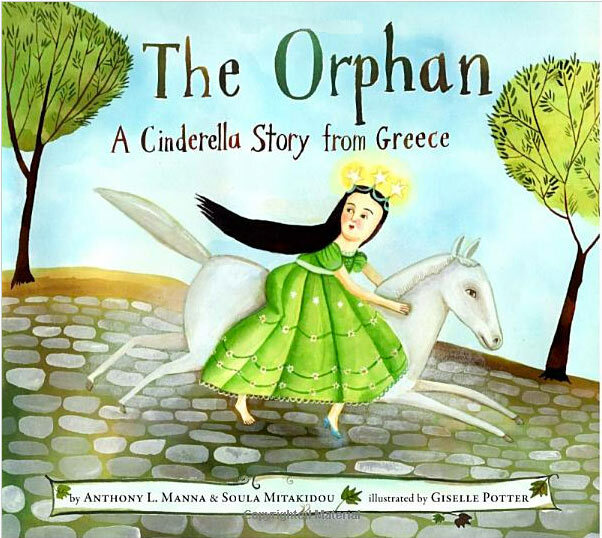 This is of particular importance to beginning illustration students — that traditional tales can have a unique perspective, dependent upon the story-teller and/or artist. But at the end of the unit, our freshly baked Gingerbread Man always managed to escape from the classroom! JC: So it’s really a CONSPIRACY!!! The entire upper grade student body plus faculty are in on it. I started wondering what adventures the Gingerbread Man might have had while he was out and about, and then I began to ask what if. . . ? 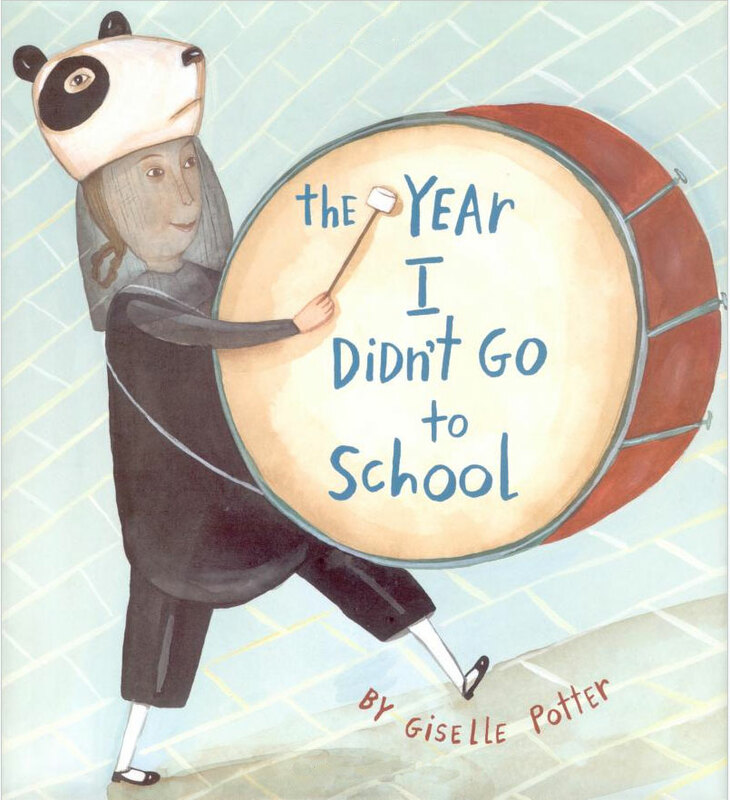 What if the story was set in a school? 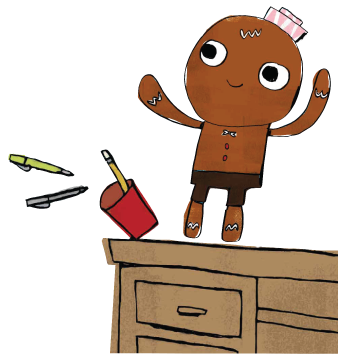 What if the story was told by the Gingerbread Man himself? What if he was trying to find the class who made him, instead of running away from them? 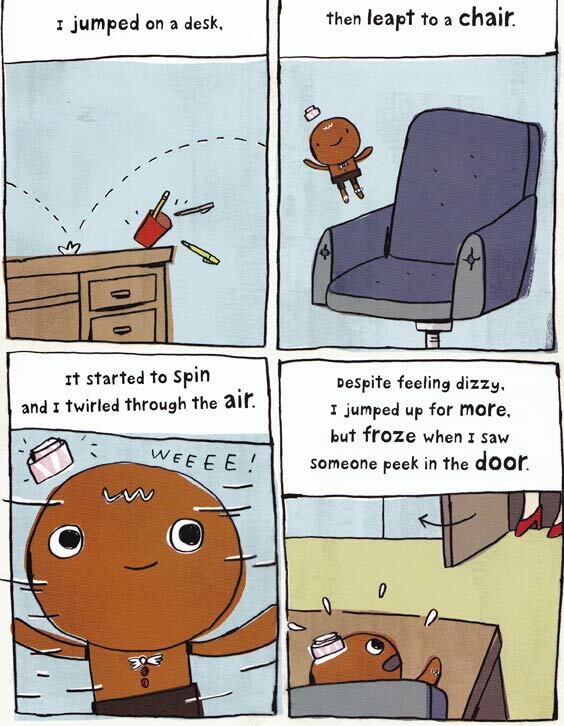 Those “what if” questions helped me imagine a Gingerbread Man adventure that was sprinkled with fresh, funny twists to set it apart from the traditional tale. I wanted the story to be from the Gingerbread Man‘s point of view, so I started asking him questions. What did he want? What was getting in the way of what he wanted? What exciting, funny, or mischievous things could he do in a school? 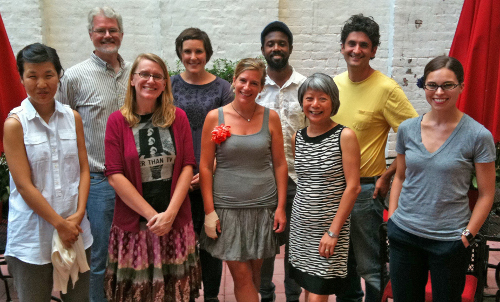 I joined SCBWI… and then a local writing critique group. 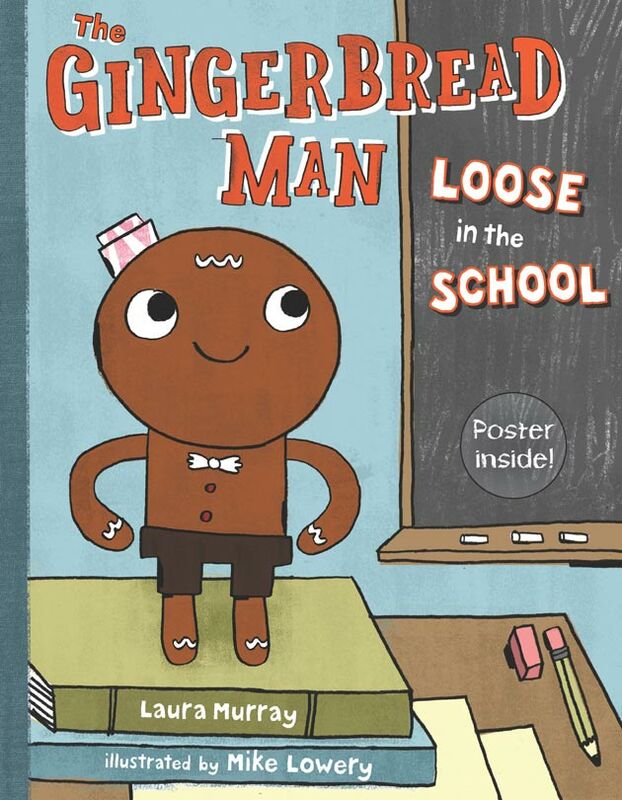 The Gingerbread Man Loose in the School went through over 50 drafts before it was submitted to a publisher. 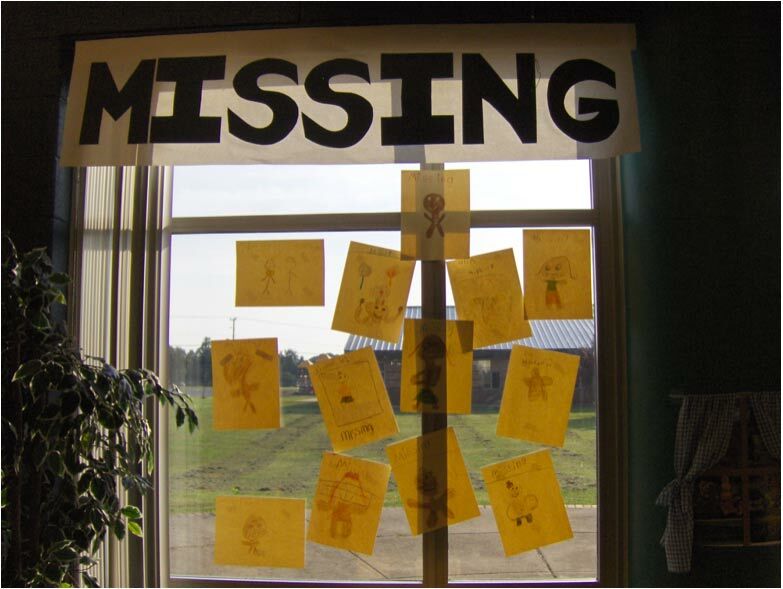 This is the school library where they recreated scenes from the book (above); a kitchen area with pretend ingredients to make him; his “cozy” house that the class made him; the GB Man stuck on the ball . . .
. . . the missing posters on the windows (above); and a finger play poem on the pad behind me (below). Amazing! It was quite spectacular and SO much fun! They even rented a GB Man costume (see below, left) and had him greeting the kids as they came into the presentation in the gym! JC: How was Mike Lowery chosen for this project? 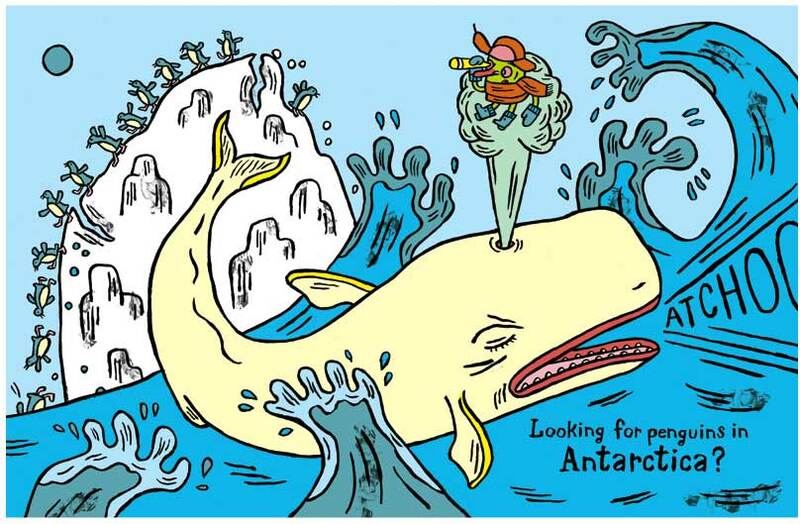 Did you review illustrators with the editor? 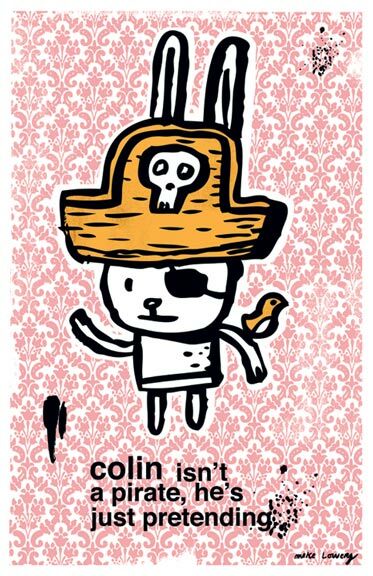 Cecilia Yung: Ryan Thomann (the book’s designer) had a poster from Mike Lowry of a pirate bunny (left) that we all loved. We were at first concerned that he doesn’t show much setting in any of his samples. But we decided it might work if we can find a more graphic way to show the school, and that’s how the floor plan idea came up. JC: What form did the original manuscript take? In other words, was it typed like a screenplay, given that the final book is a hybrid graphic novel/picture book? LM: I submitted it to Putnam as a four page, typed document, with rhyming couplets. 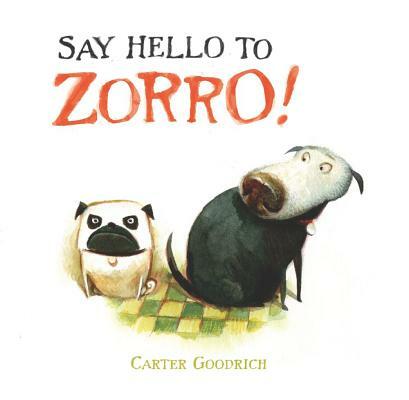 It was approximately 900 words — which is long for a picture book, but I thought it worked in this case, because there is so much action. It did not include art notes. 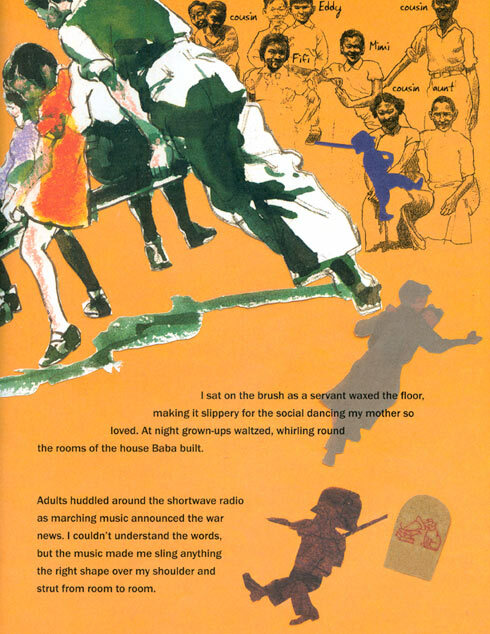 I hoped that the text was vivid enough to “paint the pictures” in the editor’s mind, and to lend itself well to an illustrator’s vision. CY: The plot is mainly a chase scene, so we really could not have covered the story with the usual scenes and spots. JC: Was it envisioned as a comic strip hybrid at this point? 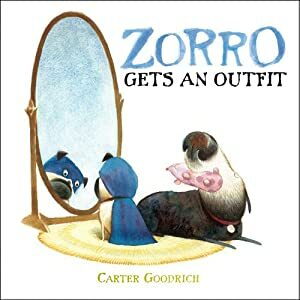 Or did this evolve through many thumbnails and book dummies? 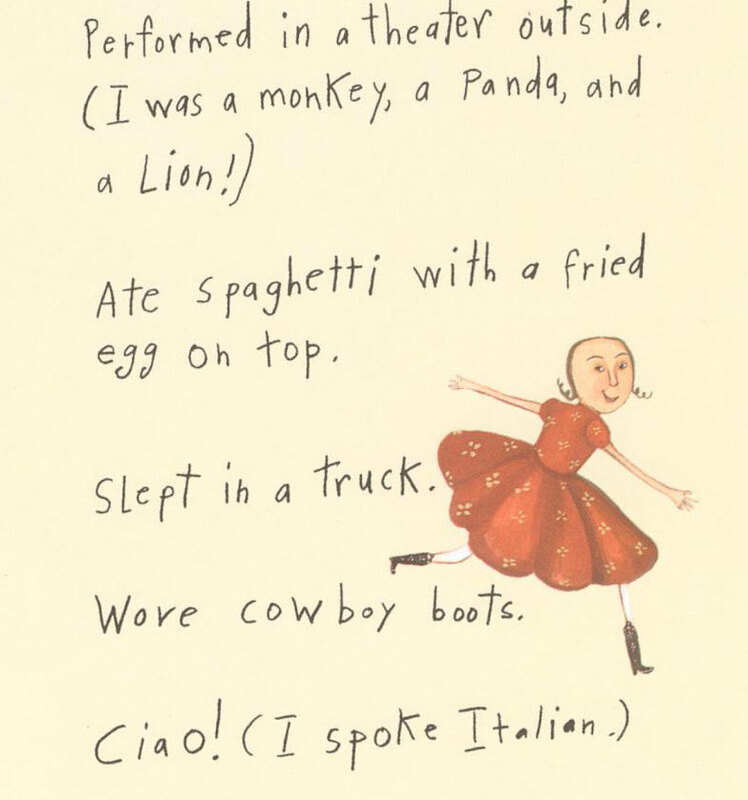 Mike Lowery: I had been working on the manuscript as a straight-forward picture book, with the illustrations on each page or spread focusing on one tiny segment from the text. It wasn’t working at all because there were so many great, little actions, descriptions of characters, etc. I just had to figure out a way to break up the text and show a LOT more on each page. After almost a year of working on it like this, I finally had the idea to make it into the sequential or “comic book” format. 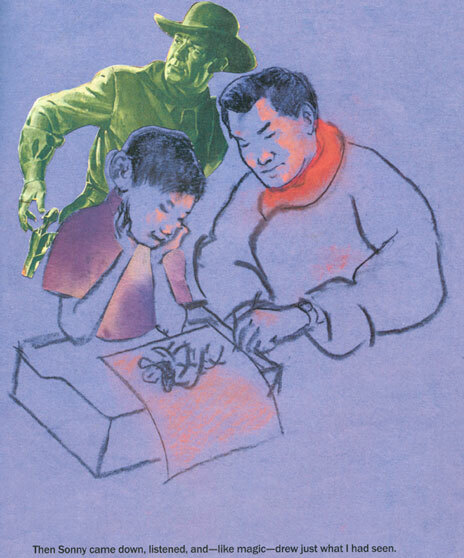 CY: Mike suggested the sequential comic book format, and we agreed that it really solves many of the problems. 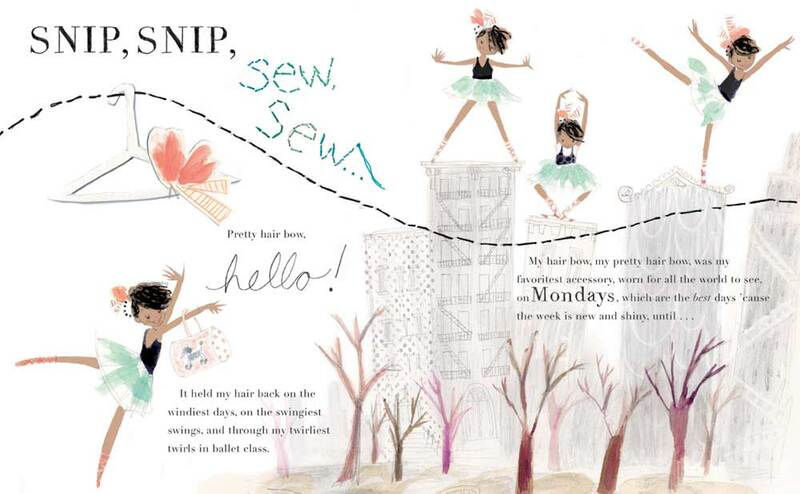 ML: From there it was a breeze, and the book became a lot of fun to work on. JC: I love the opening line: “I began in a bowl. 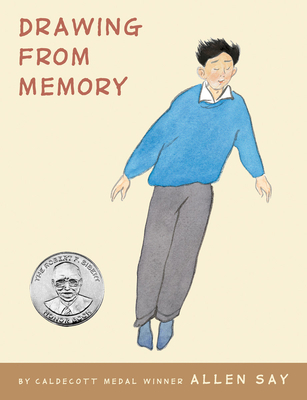 I was not yet myself — just a list of ingredients pulled from a shelf…“. It’s funny! Were you amazed at how the text was broken up, and the decisions behind the pacing? There’s 75 separate pictures panels total, from very small multiple-series to stand-alone single-pagers, plus one double-page spread. LM: Thank you. I love that line too because it pulls readers in, as they wonder “Who begins in a bowl?” I revised the beginning many times with my critique groups, but I was determined to keep that first line. I story-boarded the text during revision and before I submitted it, to see where possible page turns might occur and to check the pacing of the story. The format of the text in the book is actually very close to how it was submitted in manuscript form — in couplets or four-line stanzas. JC: Who was the editor? 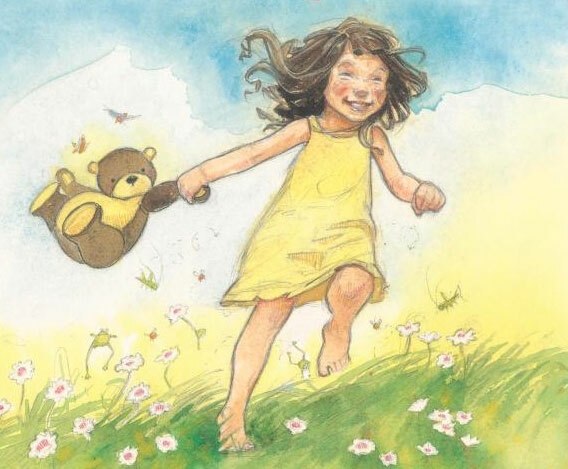 CY: Nicole Kasprzak shepherded this through the initial manuscript, sketches and most of the final art, and Susan Kochan finished off the project at the end. 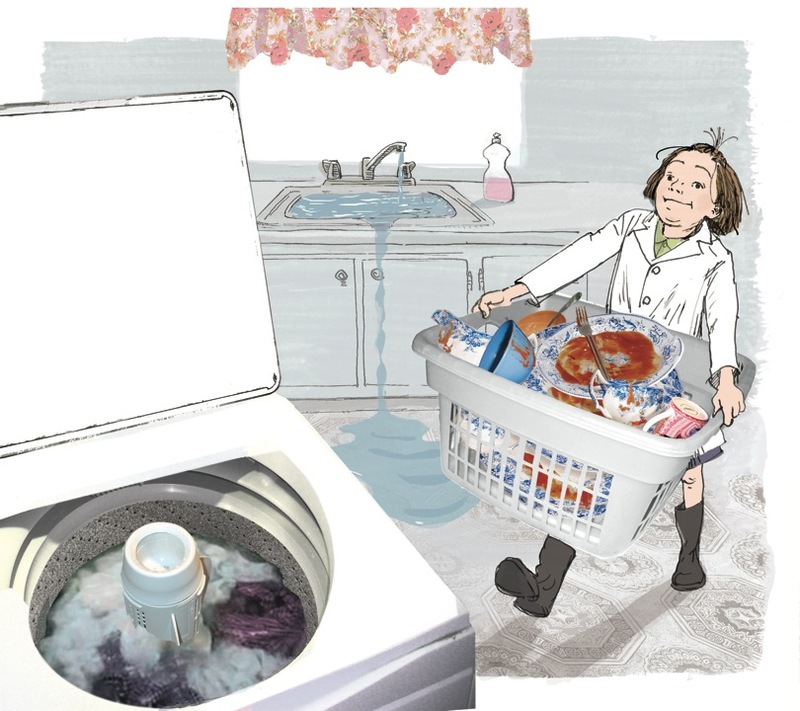 ML: I pitched the idea [of the sequential comic strip format] to Nicole initially with some fairly worked-out drawings, as opposed to rough sketches, because I definitely wanted the crew to get on board with the idea. They did, and the book turned out much better because of it. For some reason I was incredibly nervous that they wouldn’t like the idea, and I’d get stuck working on something that I just wasn’t happy with. CY: We suggested the floor plan so that we can move through the school. We asked him to differentiate the various types of spaces—cafeteria, gym, nurse’s office, art room etc. 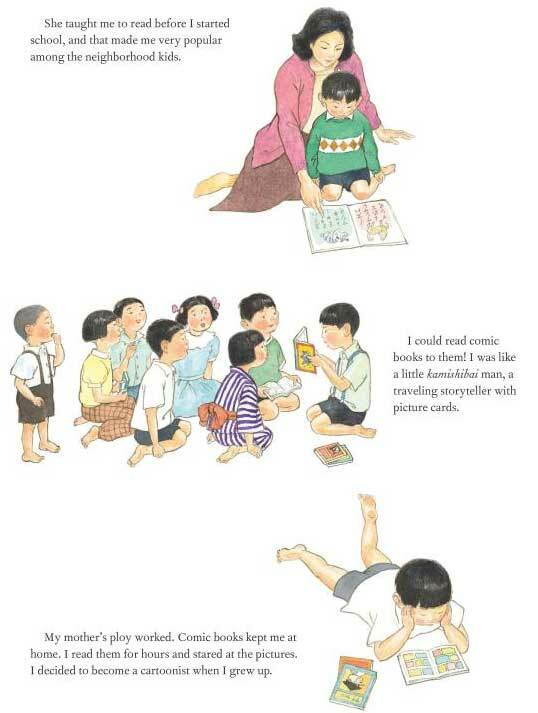 The evolution of text during the making of a picture book (above): The text changed for the first floor plan illustration, after the GB Man finds the school nurse. 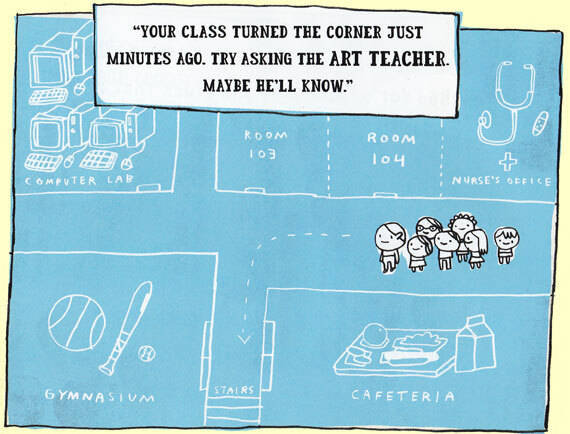 It went from “Your class passed my office just minutes ago” to “Your class turned the corner just minutes ago” because it worked better with the floor plan illustration. 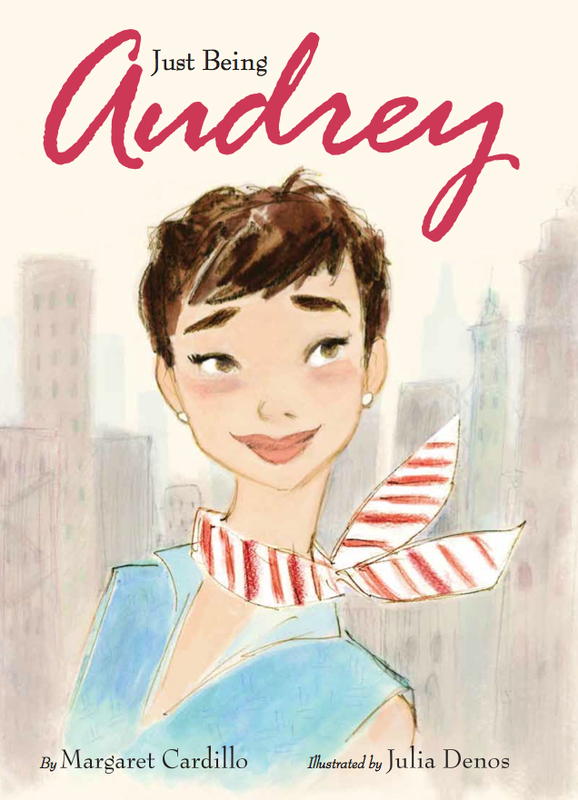 JC: Did the editor share all illustration sketches with author Laura Murray? Or perhaps you [Cecilia and book designer Ryan Thomann] and the editor collaborated on what guidelines to best support Mike Lowery with? CY: I think Nicole shared sketches with the author at key points. 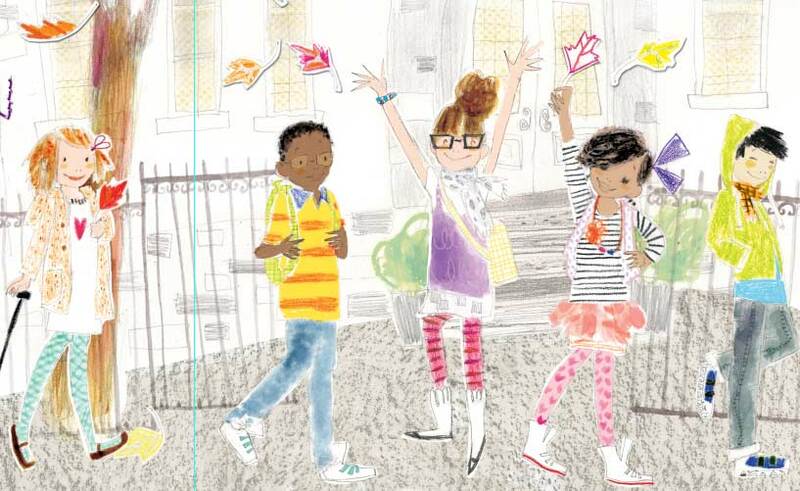 LM: As an author, it is like Christmas when you get to see the first sketches! 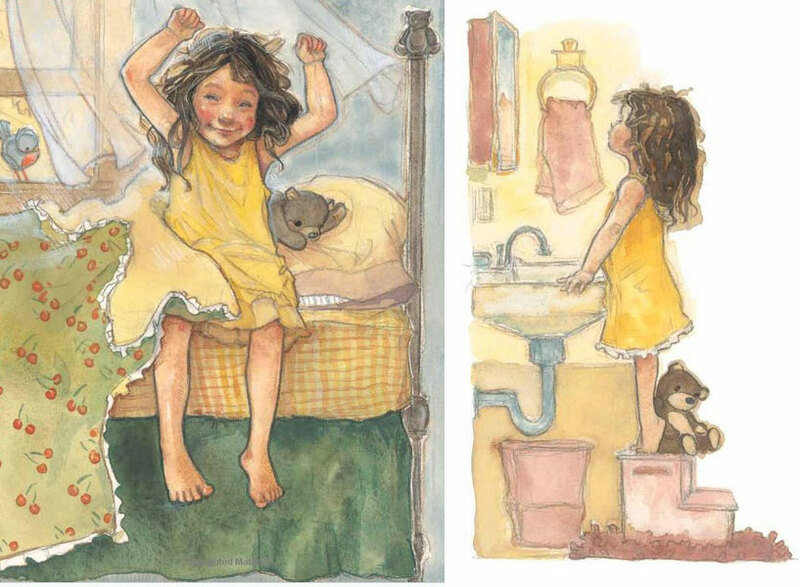 You know your characters well, but it is a bit of magic when an illustrator brings them to life! Yes, I loved Putnam’s floor plan idea and Mike’s comic-panel format! And yes, the character dialogue was in the text from the very beginning. Since the book is written from the GB Man’s point of view, I wanted the story to have lots of active dialogue rather than just narration. 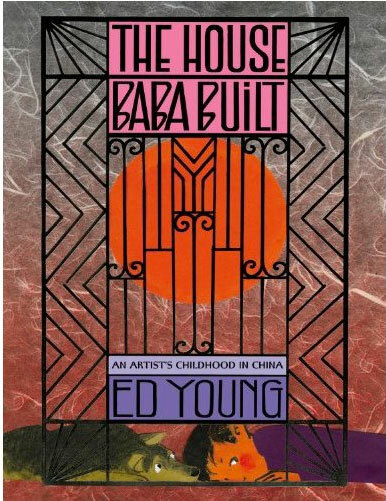 CY: I believe that this was Mike’s first or second book, so we worked very closely with him at every stage. This book took quite a while. There were many, many rounds of sketches and final art — almost two years from assignment to delivery of the final loose ends. We made a lot of suggestions for developing the characters, finding different ways to show the school setting, and varying the scale and the vantage point. We worked with Mike extensively on the final palette for consistency and legibility. 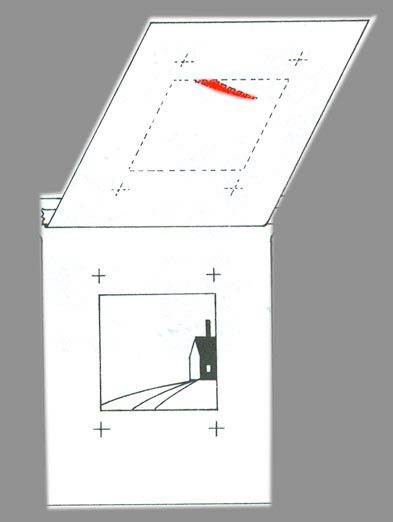 We also proofed and press proofed sample pages to determine the reproduction of the color. JC: I like the fonts selected! Did Ryan Thomann work with Mike as to what to hand-letter? And what text to colorize? CY: Mike started off hand-lettering the text, but we were worried about the mix of caps and lower case for such a young reader. Ryan worked with me and the editor to find a font that looks hand-lettered. Mike then combined that with hand-lettered words in color, for emphasis. 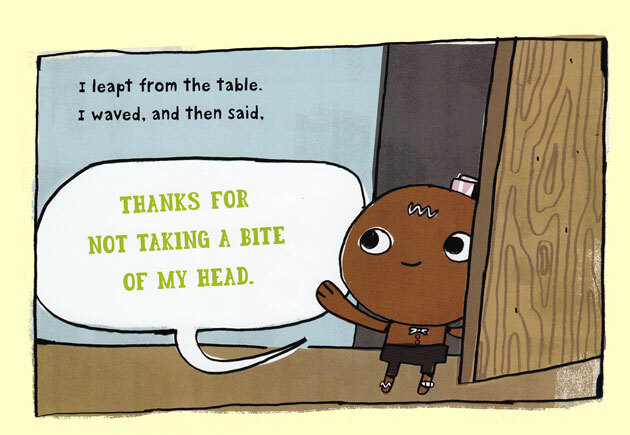 JC: The Gingerbread Man himself — he is endearing, with that round head. Whose idea to make him childlike? ML: We went through several stages of revisions for the character. From the beginning none of us were really pushing for him to have the standard gingerbread “cookie” look. 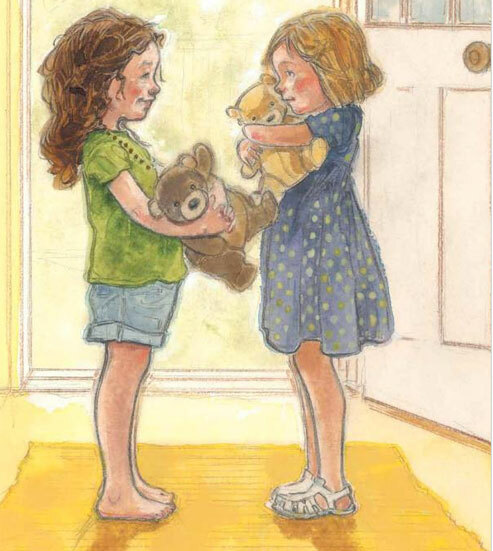 When I spoke with Nicole at the very beginning of being asked to take a look at the manuscript, she made it clear that she was drawn to the personality of the characters that I draw. So I wanted to work that style into the gingerbread man, for sure. CY: We went through many rounds of character sketches. My comments to Mike at the time: “It may be useful to think of this as a cookie with personality, rather than a cookie made with dough and icing by kids that comes alive. 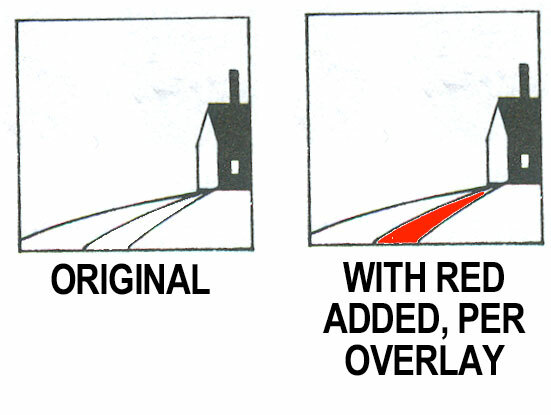 JC: Beginning illustration students (and creative writing beginners) always ask this: Did the text get altered in any way as the drawings evolved? 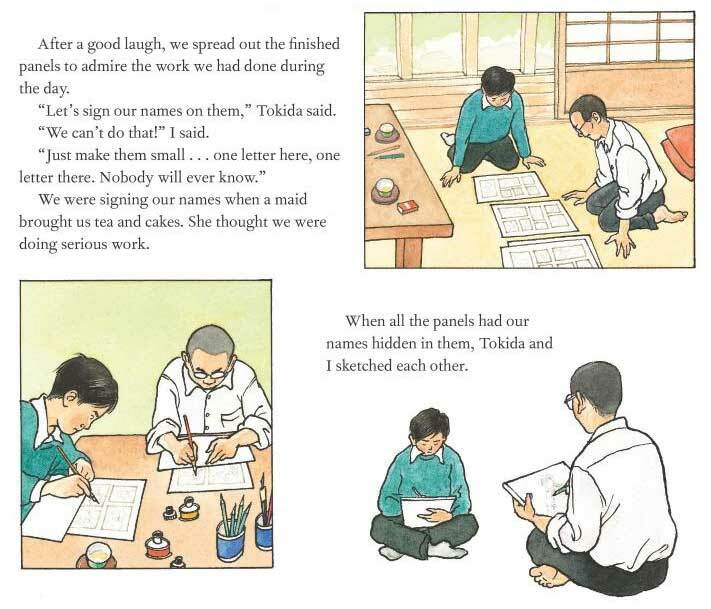 CY: Yes, the author made quite a few changes to the text as Mike developed the sketches. LM: Nicole showed me Mike’s work prior to starting on Gingerbread Man. 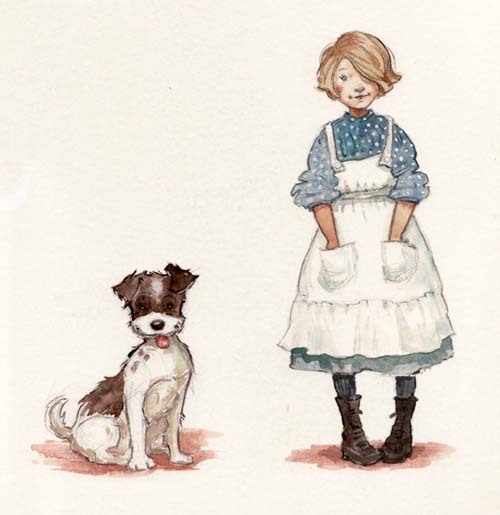 She also shared the initial character sketches, the first round of book sketches, the colored version of the sketches, and the F&Gs. 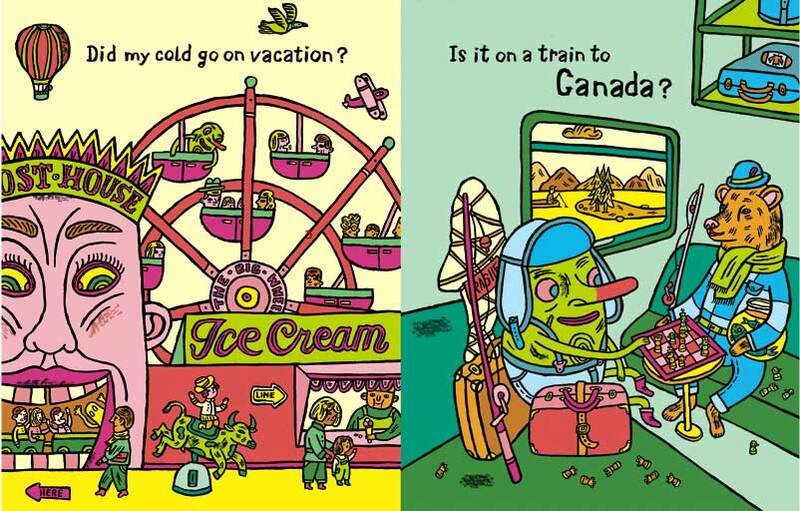 I was able to comment, look for consistency with the text, and shout out my enthusiasm for the illustrations at each stage :-)! JC: Laura, do you recall communal decisions? 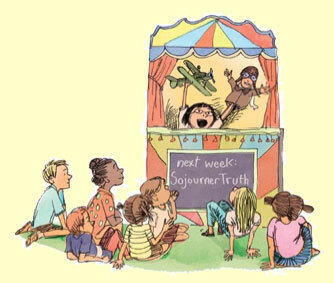 Discussions [between the book collaborators] of what actually happened at your school? 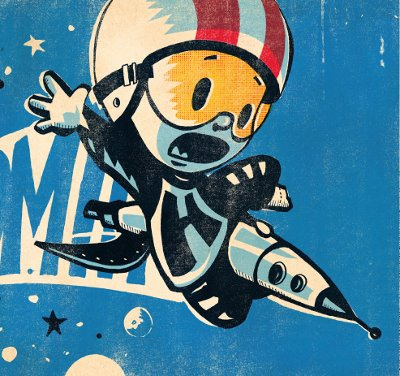 LM: Mike and I actually did not get in touch with one another until after the book came out. 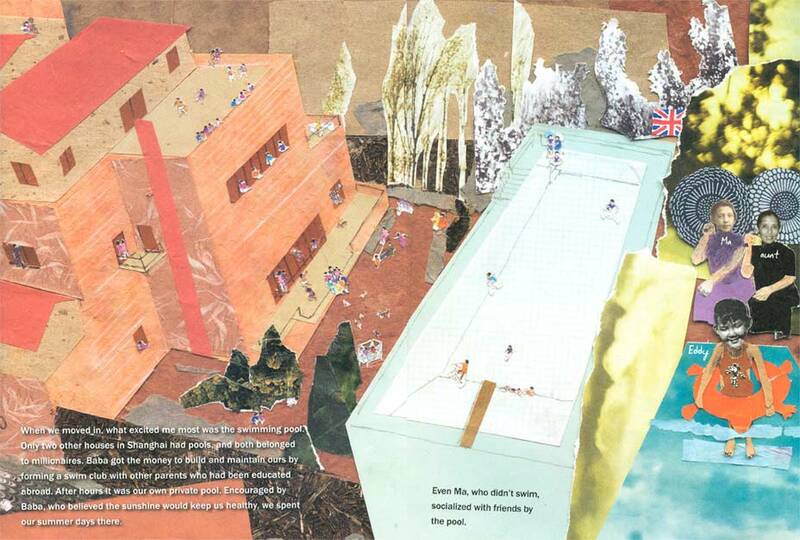 I think publishers like to give each artist his/her space to create a unique interpretation of the work. I was fine with that. 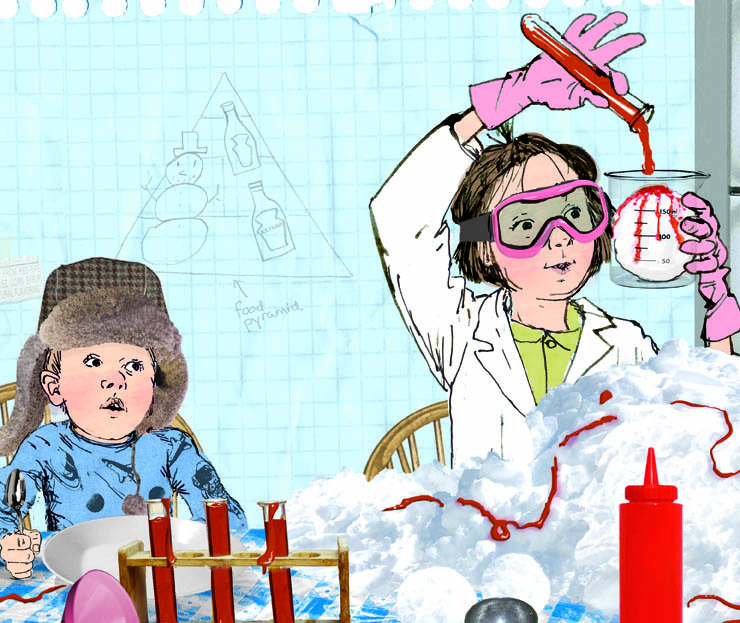 Mike gave the illustrations layers and elements that I could not have imagined. I didn’t expect to, nor did I want to, have a say in his creative process. If I had comments or questions, I posed those to my editor. So, I don’t really recall discussions about specific details with this book. I hoped that my vision written in the text was clear enough, yet open enough, to allow Mike his own unique interpretation of the visuals, along with guidance from the wonderful art design team at Putnam. But I would certainly be open to any questions or discussions on details, etc. with future books. JC: That is awesome! A true collaboration, and what sparkling results! LM: There were a few small alterations to the text that did not change the plot, but flowed with the illustrations and dialogue a bit better. 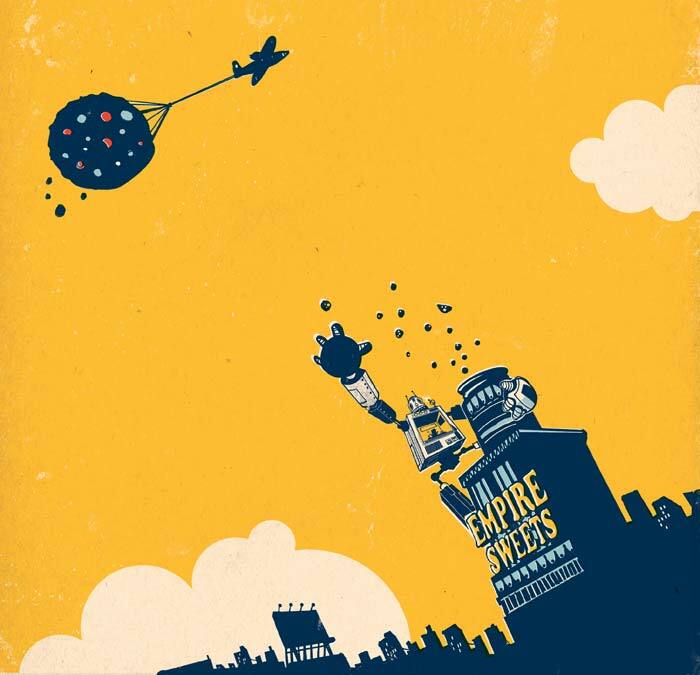 The one that we pondered over for a while was the text for the MISSING poster illustration. 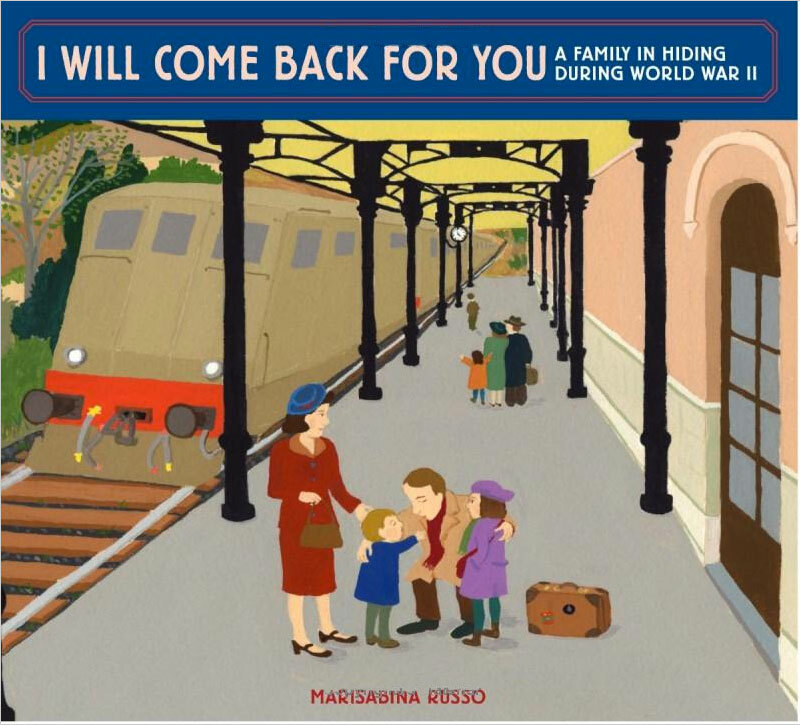 The original text mixes the GB man’s narration with the text of the childrens’ Missing poster, and it made the format of the illustration tricky. So the text was changed from. . . . The poster said MISSING: From Room 23. And right underneath was a drawing of me! If found, please return him as soon as you can. We think he is lost. He’s our Gingerbread Man. And there on the wall was a drawing of me! 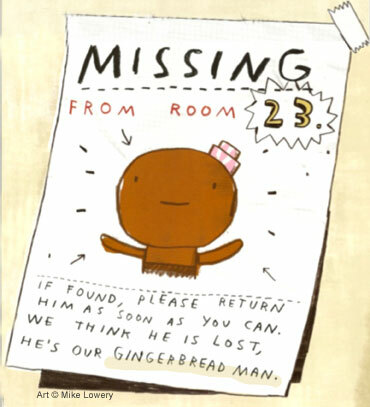 The poster said: MISSING From Room 23. If found please return him as soon as you can. 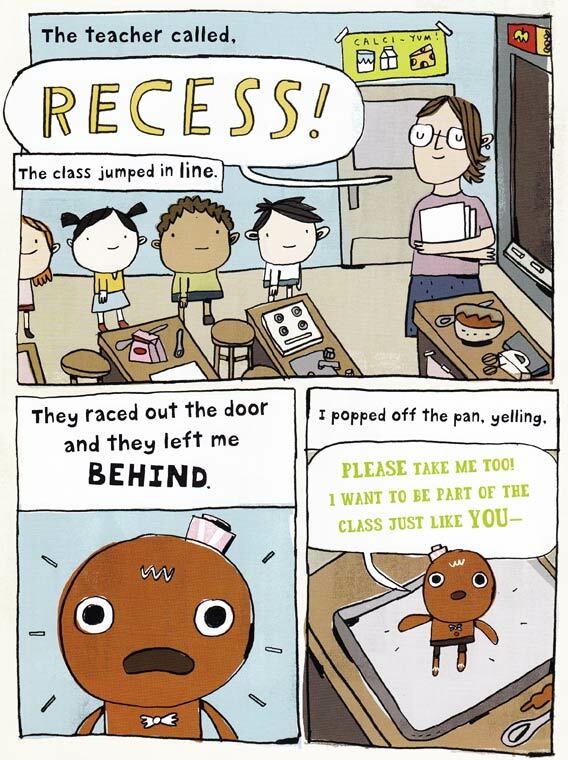 JC: I must confess you got me when Gingerbread Man declared “I’m in somebody’s lunch!” — and it was strategic that this scene would happen on a right-hand page. Makes you anticipate the next page turn! 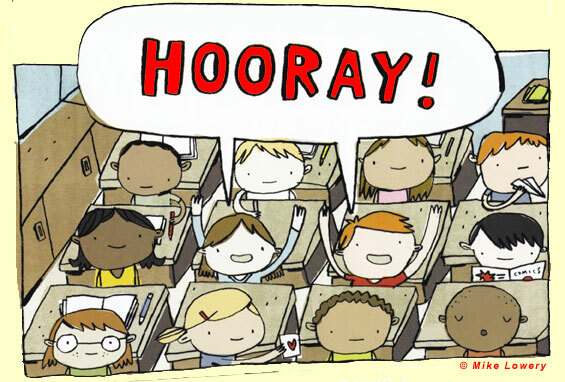 LM: Great! And yes, this is a very natural and fun place for a page turn. 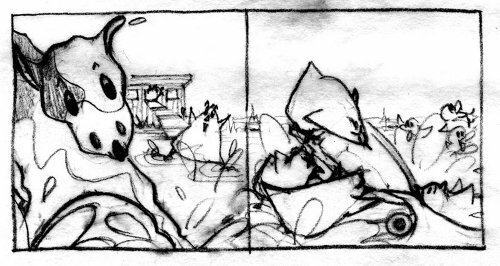 ML: The drawings always start out really rough with just pencil. I draw over that with pencil again on tracing paper. From there my process goes in a few directions. For some of the larger areas of color, I mask out an area on a screen printing screen using tape, and print out large areas of flat color. I scan in these prints, and overlap the drawings that I made in pencil. For a lot of the smaller areas of color, I wouldn’t have time to print out every single piece, so those are finished in Photoshop. I have lots of old screen print textures scanned — I teach this as part of one of my classes at SCAD, so every quarter I add 30-40 new textures to my collection — that I use in my final illustrations. CY: Mike delivered digital files. 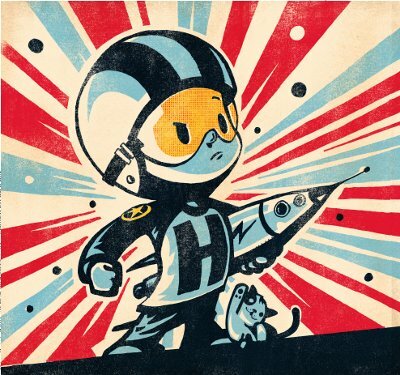 The Original Art Show displayed a framed giclée print of the final art. 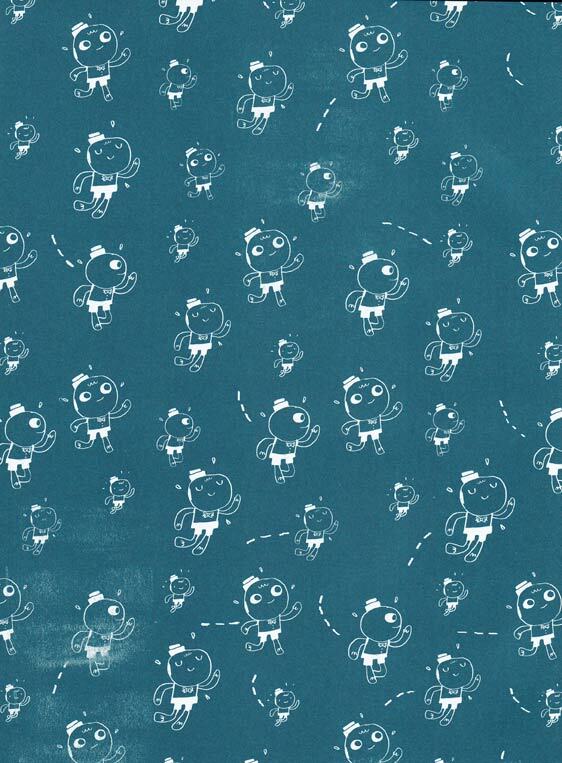 JC: Cool and groovy endpapers! Whose idea? CY: Ryan worked with Mike to put this together. 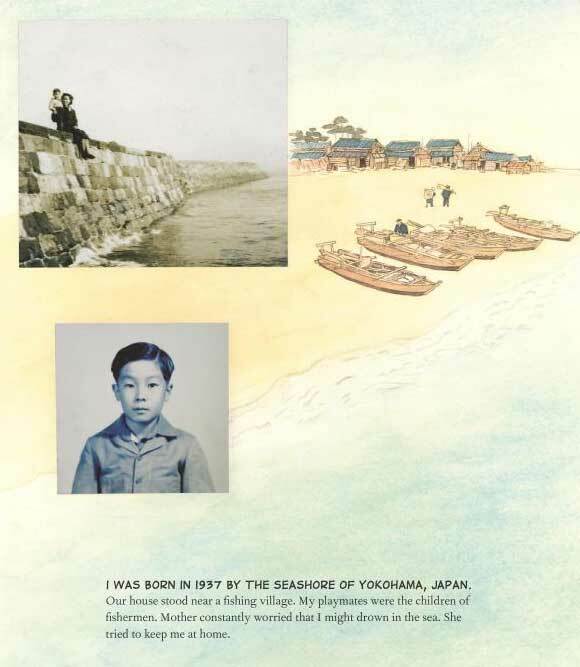 JC: Tell us about the teacher’s materials that’s offered at the author’s website, and the poster. 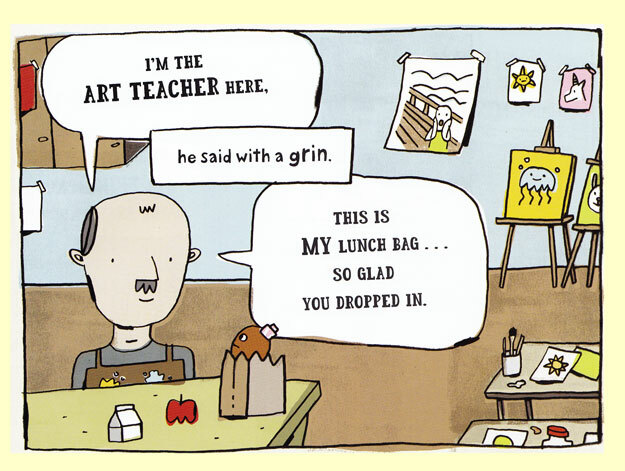 LM: Some of Mike’s artwork from the book was used in the teacher’s guide on my website. 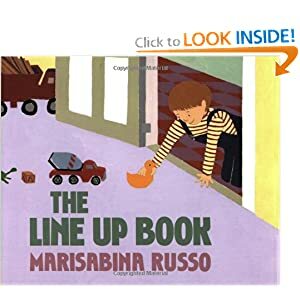 A wonderful author/teacher colleague, Natalie Lorenzi, prepared the 28-page guide of curriculum-linked ideas and activities for me to include on the website as a resource for teachers/librarians/parents. Putnam also has it available on their website. Mike did quite a bit on the poster, providing the maze, coloring page, and all the artwork. 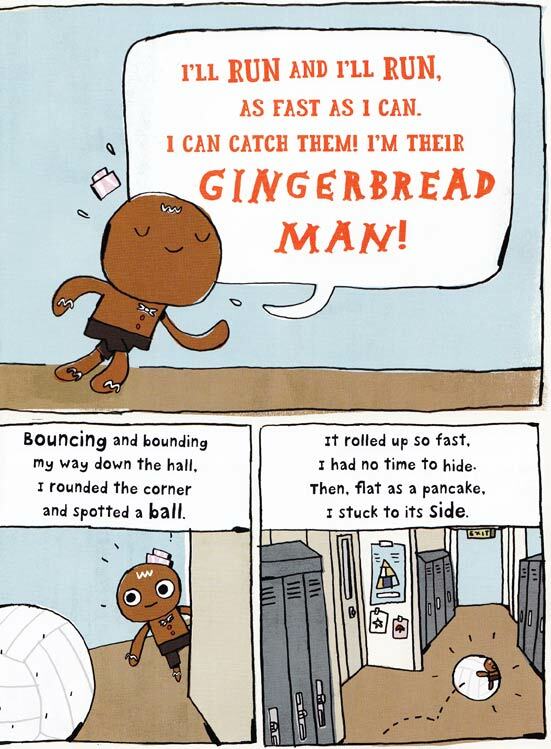 I provided the text for the Gingerbread Man School Hunt and the cookie recipe. @ Everyone: Questions? Post them in the comments box below! 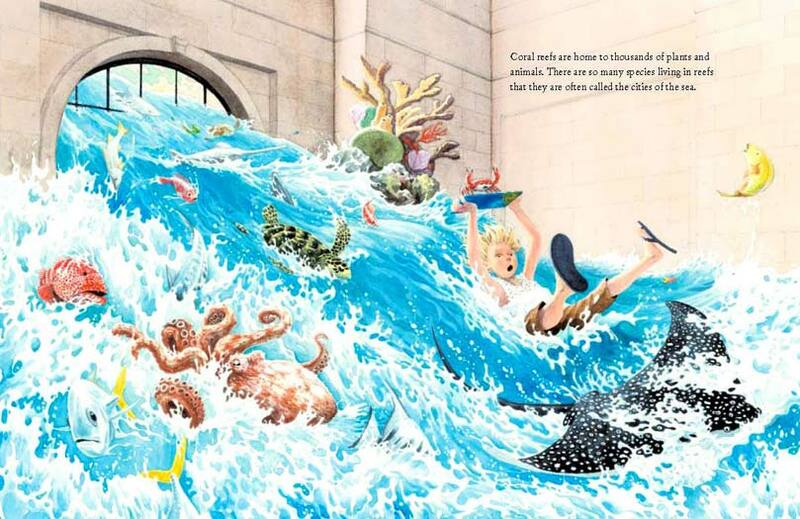 This week we’ll sample more selections from The Original Art Exhibit, featuring highlights from the best illustrated children’s books of 2011. 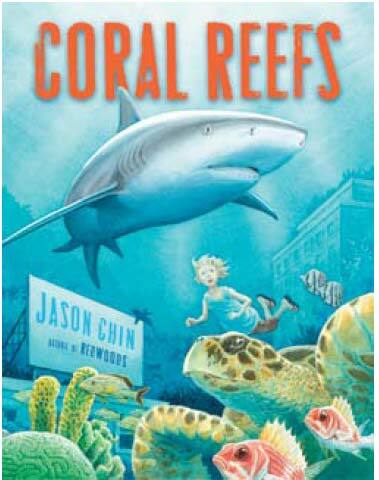 Jason Chin takes picture book nonfiction into the realm of lyrical realism in his latest book, Coral Reefs. 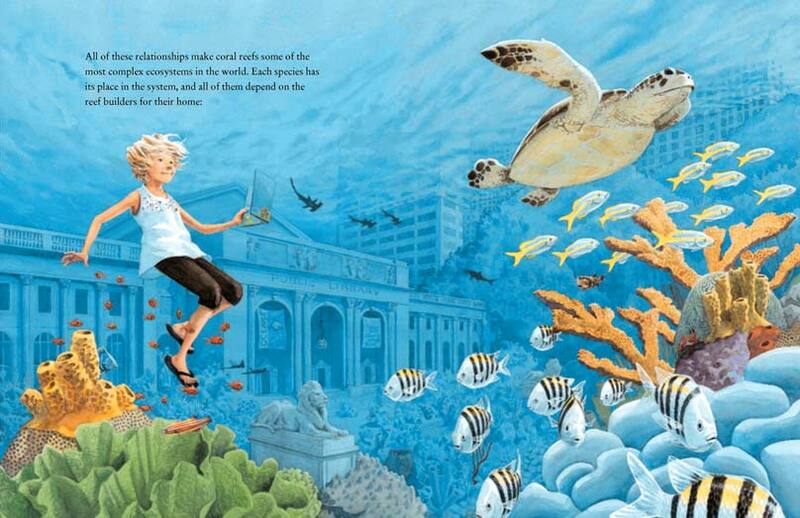 The jacket gives a hint of what’s to come — a young girl exploring an underwater kingdom. 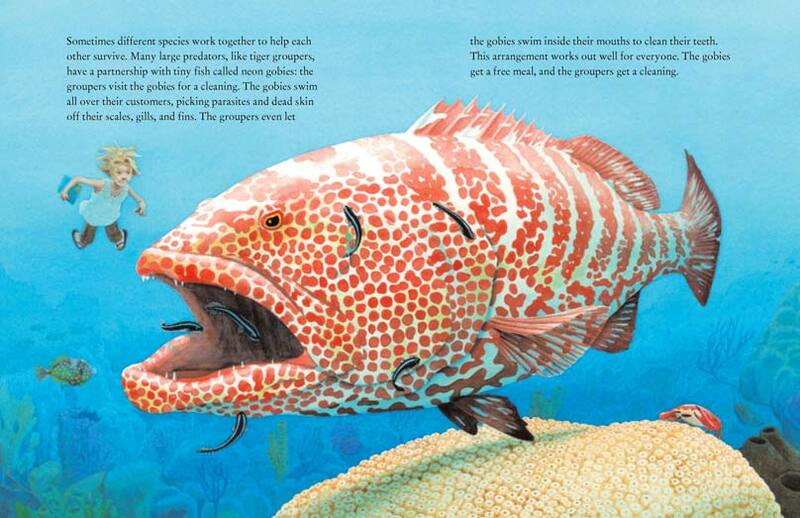 We are presented with real-life marine biological facts through the text, visually told as an undersea adventure. 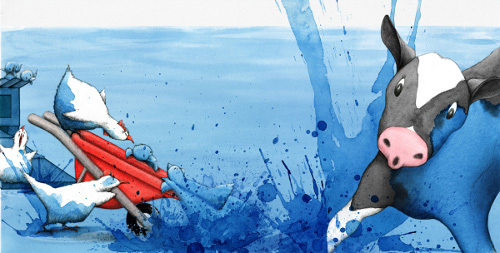 Jason Chin: “My illustrations are done in watercolor, the same size as they appear in the book. 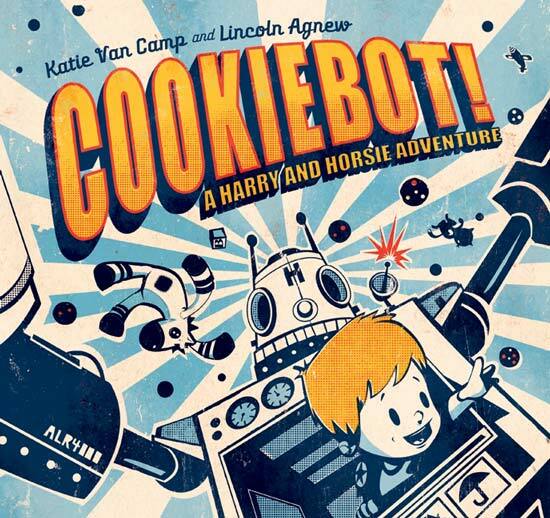 Lincoln Agnew creates the most amazing cookie-grabbing robot ever via Cookiebot!, the second adventure featuring Harry and Horsie, written by Katie Van Camp. 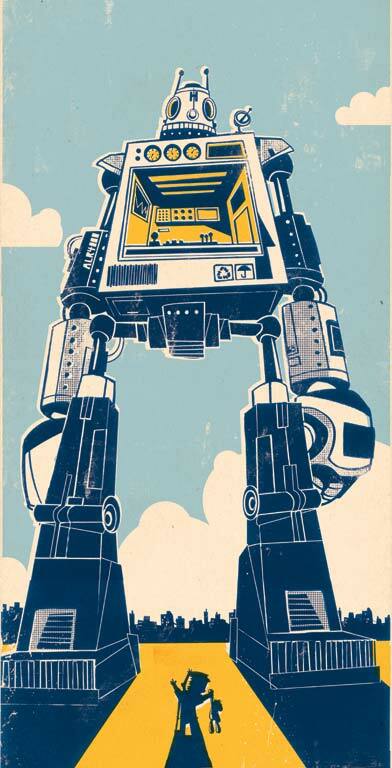 Agnew’s style is an homage to pop art, retro signage, and action comics, complete with Harry’s original blueprints for his cookie-seeking robot. Irresistible fun! Here are his blueprints for his cookie-seeking robot. . .
How awesome is Harry, I ask you. . . Fascinating factoid: Harry is the real-life son of David Letterman and his wife, Regina Lasko, at age 5. 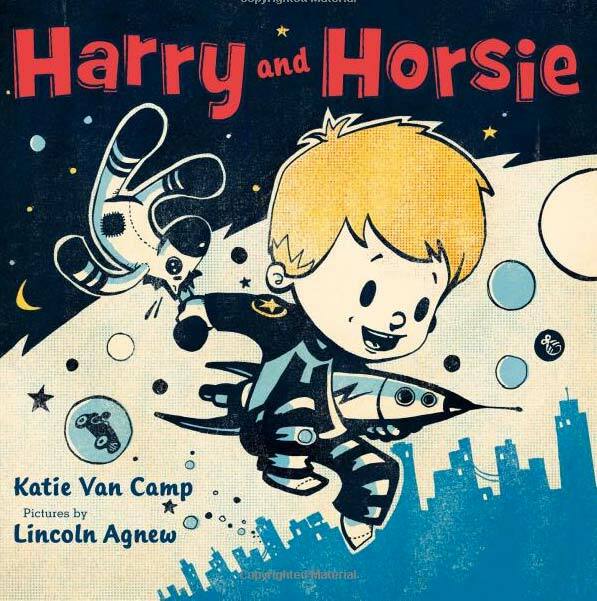 AuthorKatie Van Camp, who was their au pair for several years, says that her adventure tale Harry and Horsie started out as a poem she wrote for Harry, but it blossomed into a book, with the Lettermans’ blessing. 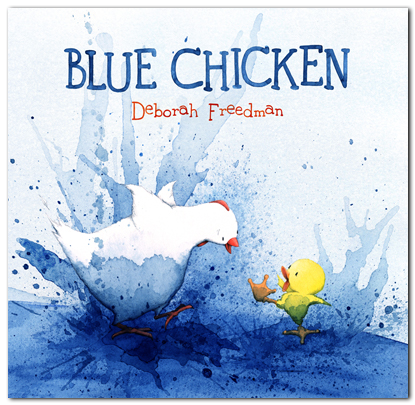 Original sample for "Blue Chicken"
Reality blends into a mind bending romp, mixed in with artful color lessons plus pithily minimal verbiage via Deborah Freedman‘s original vision . 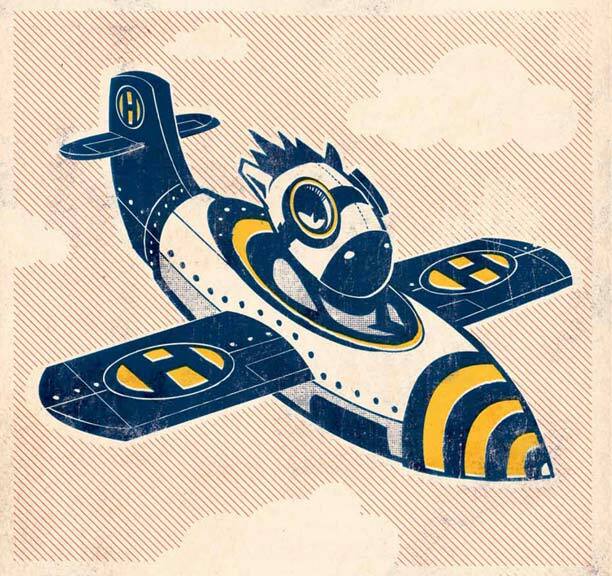 Blue moon, kind of blue, and undo the blue with Blue Chicken! 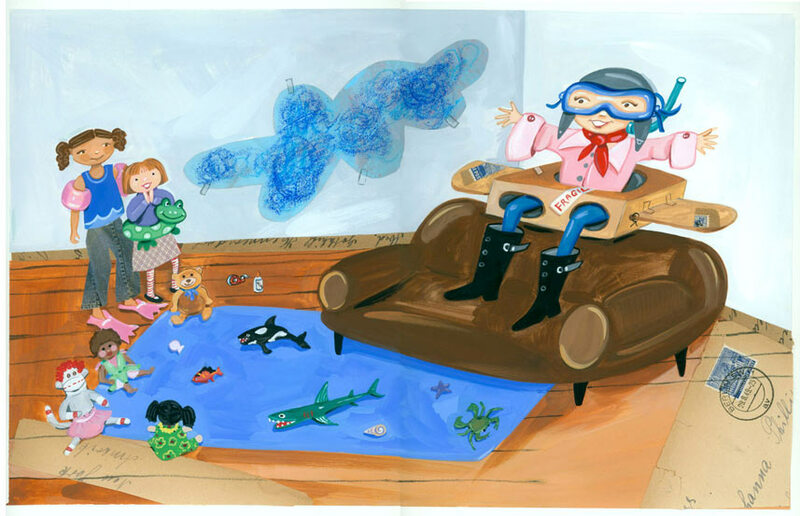 Check out Deborah Freedman’s blog here. 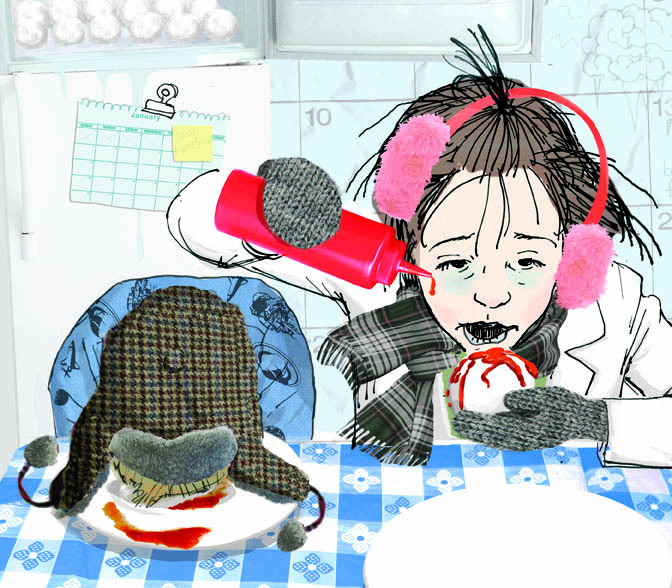 Seven-Imp interview with Deborah here! Deborah’s books and portfolio here. 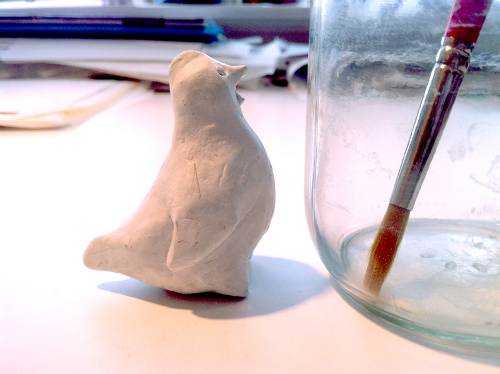 What is “Sculpey®”? Find out how Deborah found her models here. 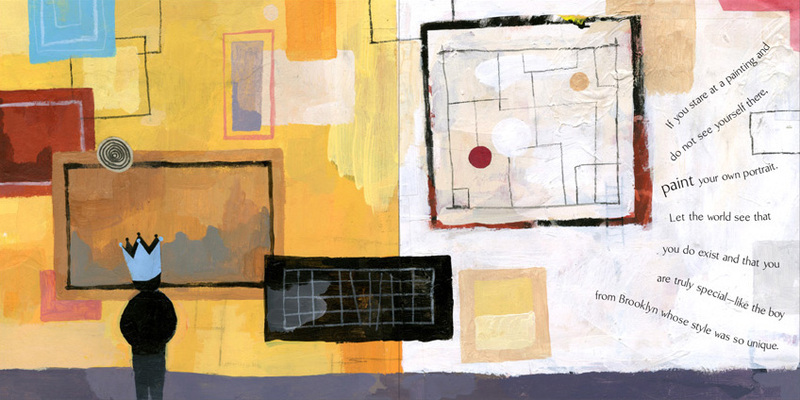 I was delighted to learn that this year’s chair for The Original Art 2011 was Amy June Bates. 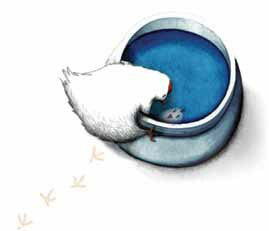 Her skill in drawing people and animals is superlative. 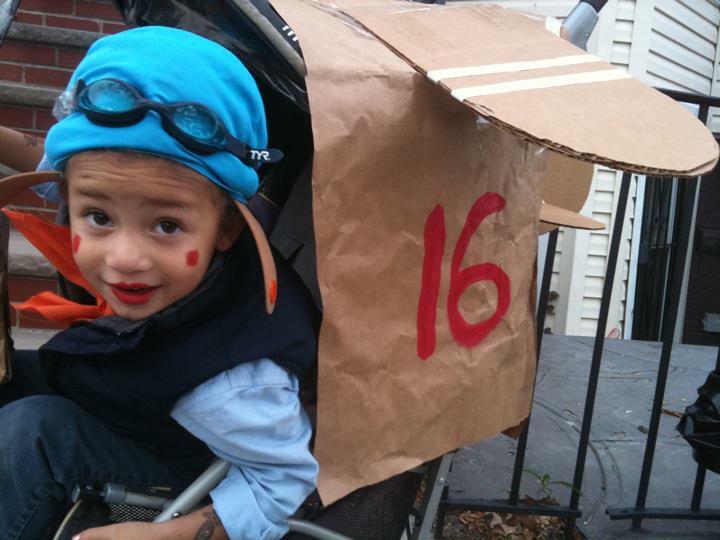 You want to know how children move differently from grown-ups? 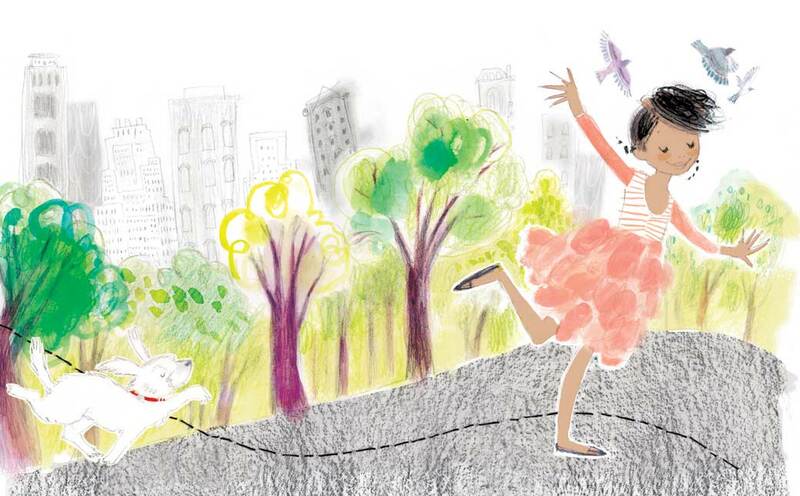 Seek out the people in her books, and peruse her renderings closely. Prepare to be enthralled. 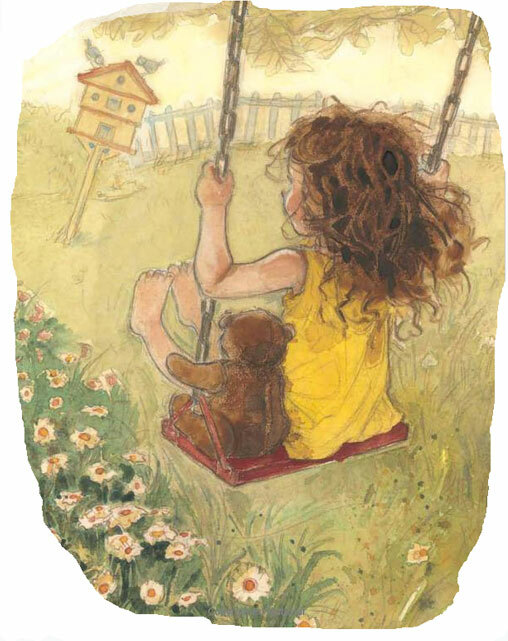 I became acquainted with her work while working as a free-lance art consultant, with an editor who ultimately selected Amy to illustrate I Will Rejoice (Zondervan Publishing) written by Karma Wilson. 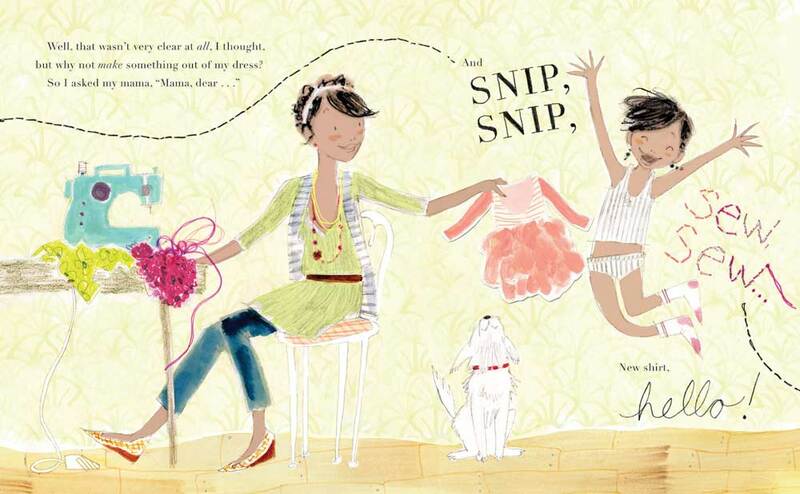 She conceived a visual subtext about the joys of a typical day in one girl’s life to complement accompanying verse. The vitality in her line work is based on solid anatomy drawing skills. 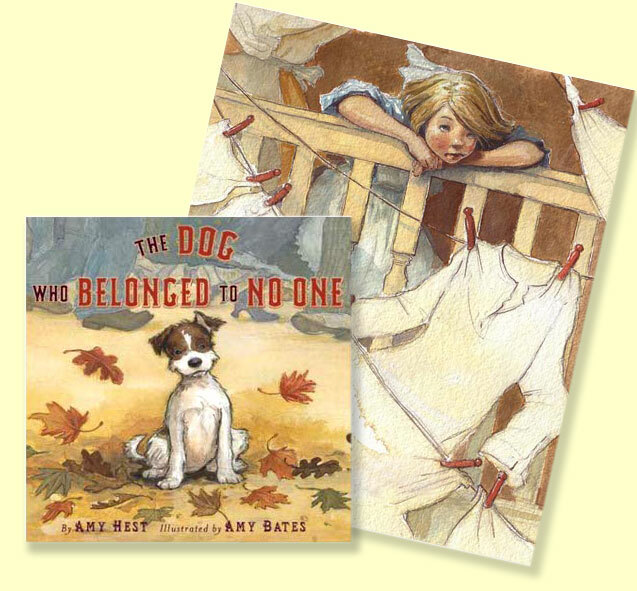 Here (below) are images from her most recent book, The Dog That Belonged to No One (published by Abrams) written by Amy Hest. 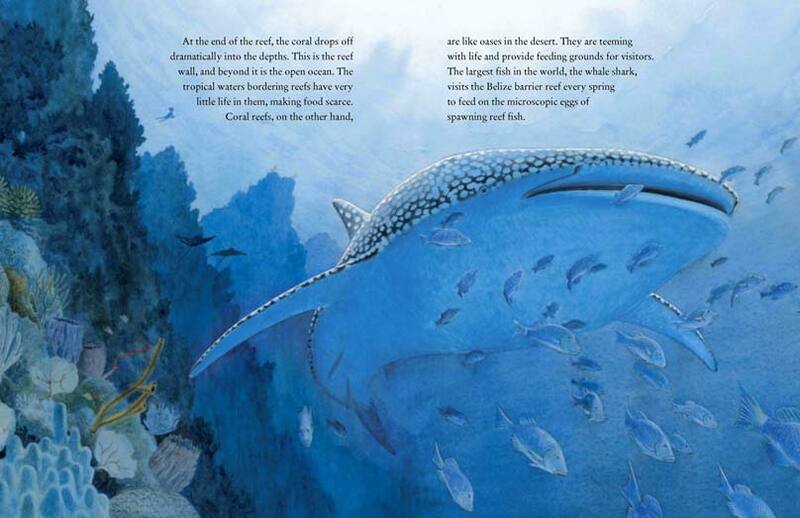 Amy June Bates’ interview with Julie Danielson* can be found here. 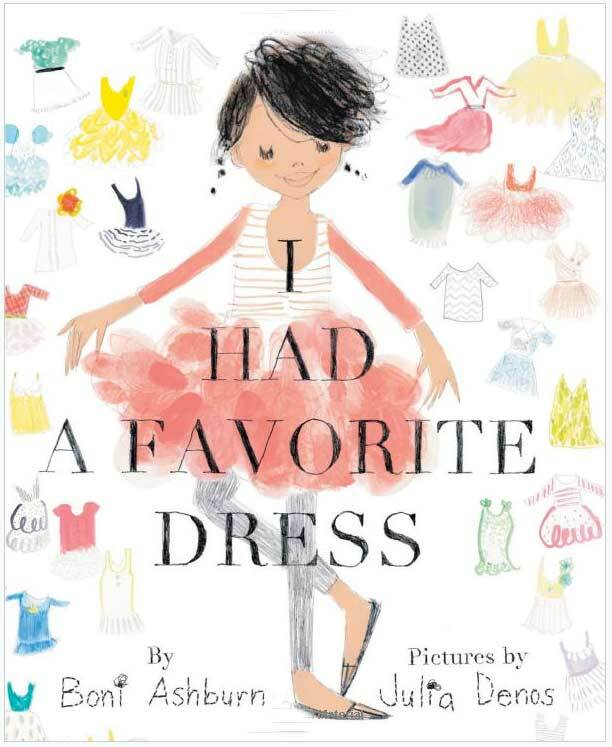 And now, on to more Original Art selections to share. . . .
Little girls can be inspired to ditch their princess gowns, in favor of dressing as great women in history by perusing Selina Alko‘s book, Every-Day Dress-Up (Knopf). And you dear reader, can see original pieces at the Original Art! It’s a family affair! 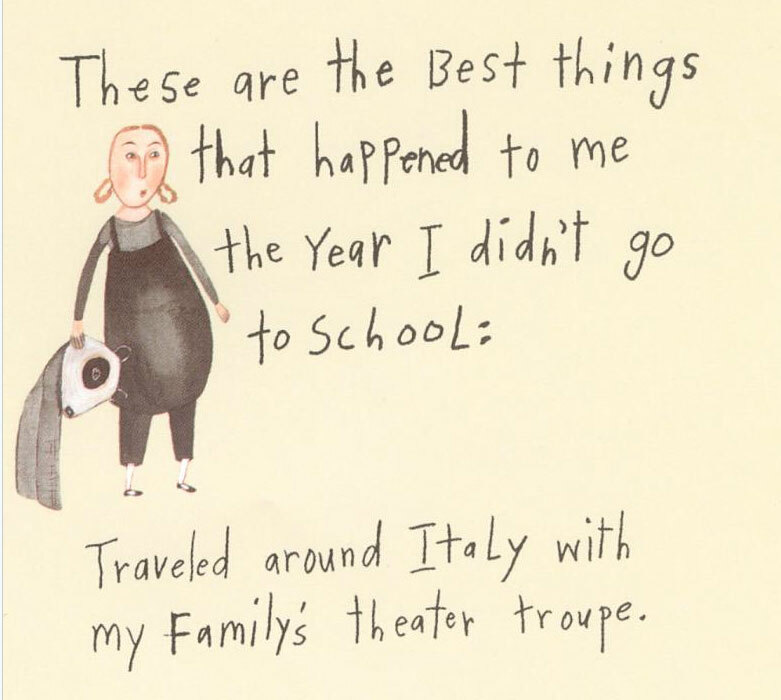 Selina Alko‘s husband, Sean Qualls, has images from two books at the show. 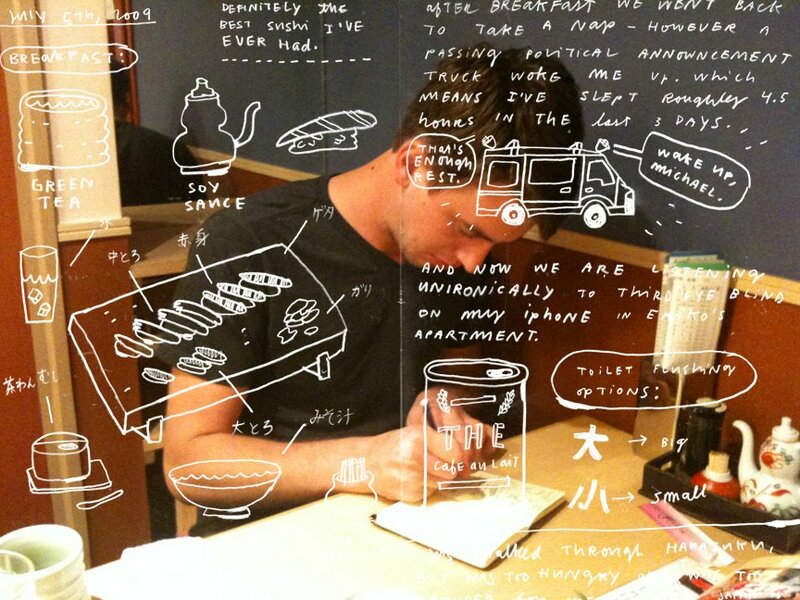 Here’s Sean demonstrating his steps in creating his illustration from Giant Steps to Change the World. 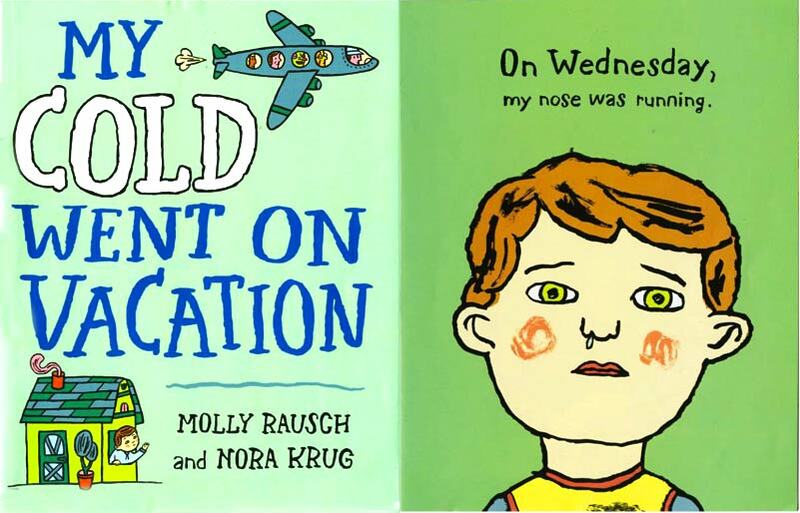 Beware of catching a cold (a funny one, that is) from the pen of artist Nora Krug at the Original Art Show. 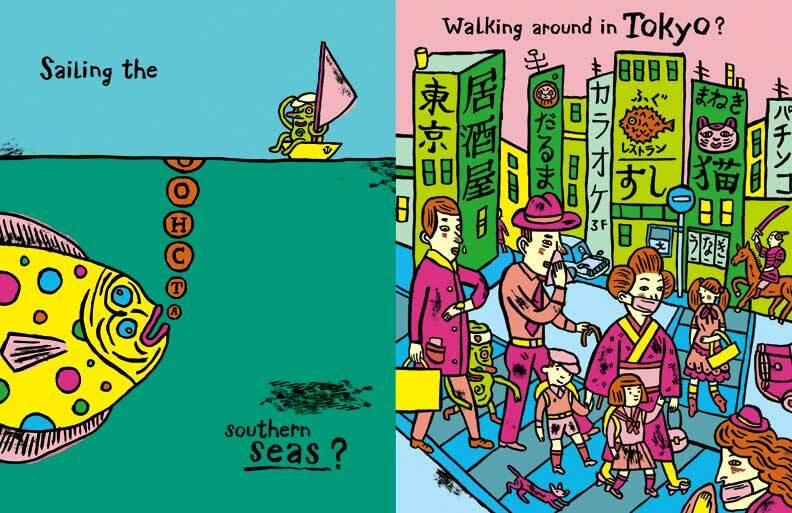 When she’s not creating art for children’s books, graphic novels, and other international publications, you’ll find her professing illustration at Parsons The New School for Design. 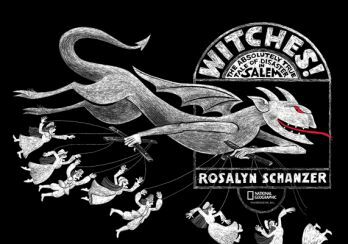 I had some nosy questions for Rosalyn Schanzer about the preparation of her artwork for Witches! The Absolutely True Tale of Disaster in Salem. 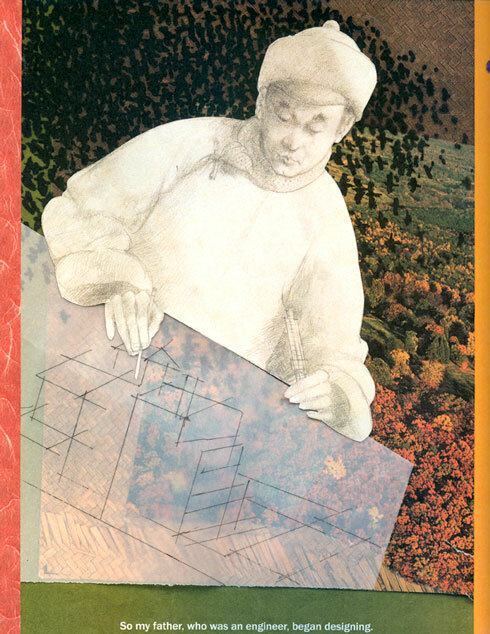 Joy Chu: What is the final size of your art? That is, you worked up-size? Rosalyn Schanzer: I worked very slightly upsized. This is really easy to show you in person, but it’s almost impossible to explain in words. The actual size of a two-page spread in my printed book is 10” wide x 7” high, and the actual size of a single page in my printed book is 5” wide x 7” high. I used Scratchbord™ (yes, that’s exactly how they spell scratchboard — it’s a trademark). One of their stock sizes is 16” x 20.” It’s expensive. 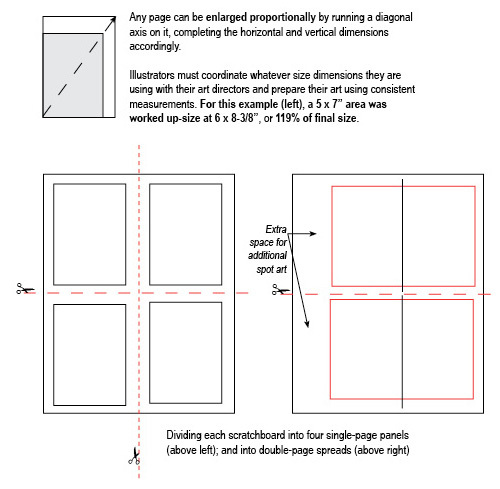 So if I cut a piece of it in half to make two 16” x 10” pieces, I could enlarge the artwork for a two-page spread to 12” wide x 8 -3/8” high. That way I could make two up-sized 2-page spreads using one piece of Scratchbord™ and still have some space left over to add a couple of spot illustrations. 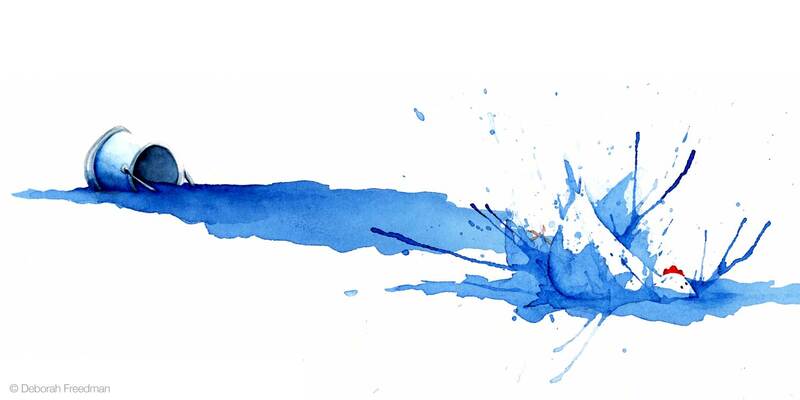 These up-sized pieces of art have to be done in the correct proportion *so that they will fit. 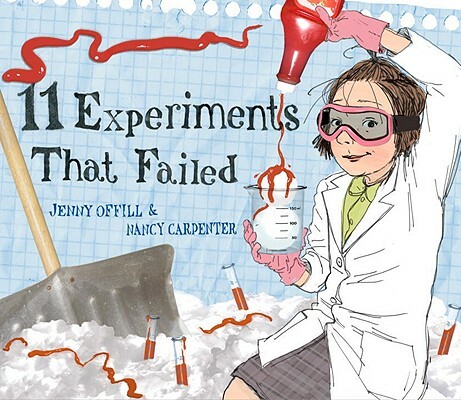 JC: Did you send Nancy’s team [at the publishing house] your originals, or scans? RS: If I remember correctly, I just sent in the scans, and David Seager, my art director, eventually enlarged them so that the powers that be could take a closer look. JC: Did you use scans to indicate where to put in those hot red highlights? RS: After I did the finished art (in black and white), I taped a removable tracing paper overlay on top of each picture. I drew crop lines on the tracing paper (figure a, right), applied to line-up perfectly with the crop marks on the original b&w artwork; and then on the tissue overlay, I used a red marker to show exactly where I wanted the red areas to appear. I also wrote specific instructions on each overlay. 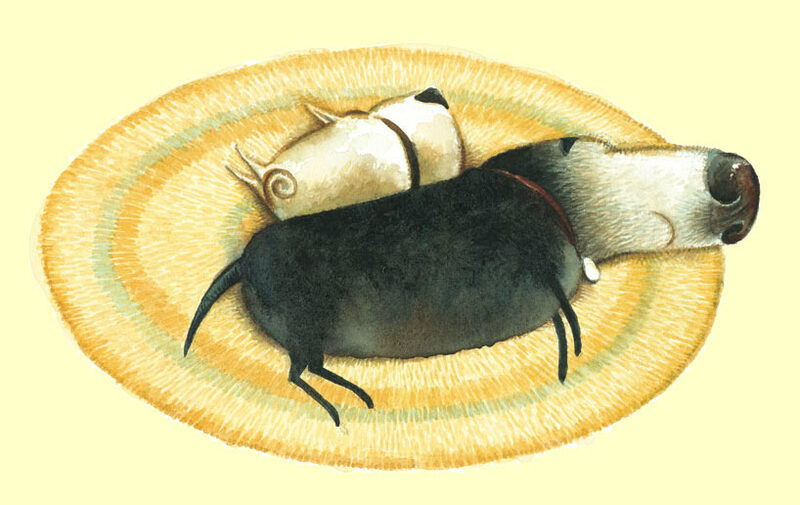 Starting next week, we will launch into a series featuring selected works from the Original Art 2011, the annual exhibition that honors the fine art of children’s book illustration. 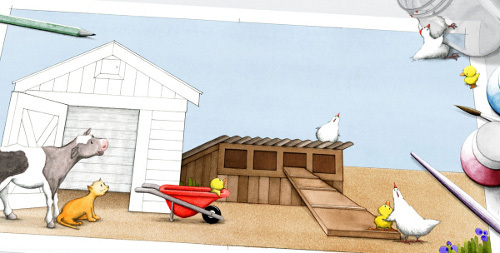 Behind every picture book project is a team. 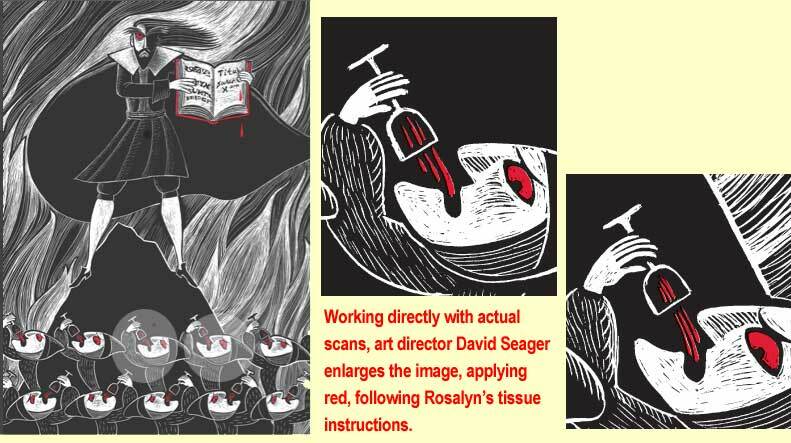 For our first series feature, we meet both the editor and the art director behind Rosalyn Schanzer‘s Gold Medal winner, Witches! 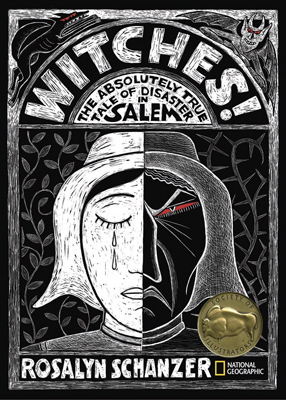 The Absolutely True Tale of Disaster in Salem (publisher: National Geographic Society). title page spread from WITCHES! 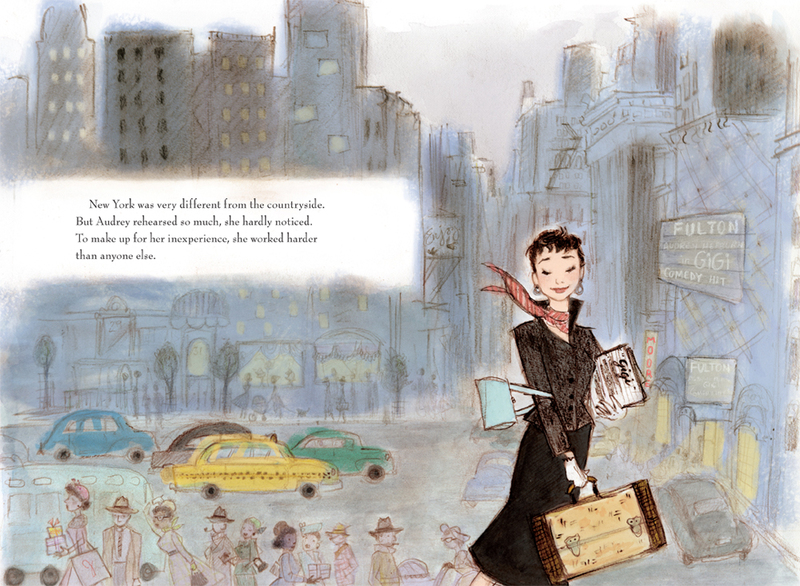 We will continue with more selections that feature the story behind making of many other wondrous pieces, over the duration of the exhibit at the Society of Illustrators / American Museum of Illustration, October 27- December 31st, 2011. 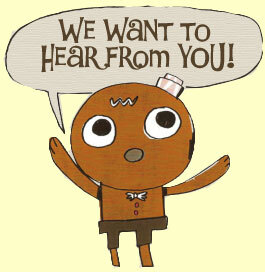 We will have surprise guests from the industry, discussing each selection. You won’t want to miss the banter. And you can add to the conversation. 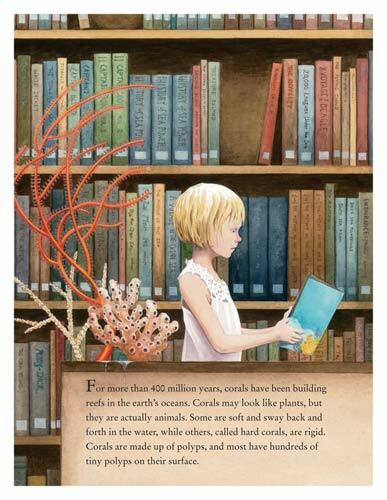 The show features 150 books published in 2010-11, chosen from 590 entries submitted nationwide. The official press release featuring Gold and Silver Medal winners can be found here. The Opening Reception is followed by an Awards Ceremony. In addition to the Gold Medal, there are Silver Medallists, plus one Founder’s Award.